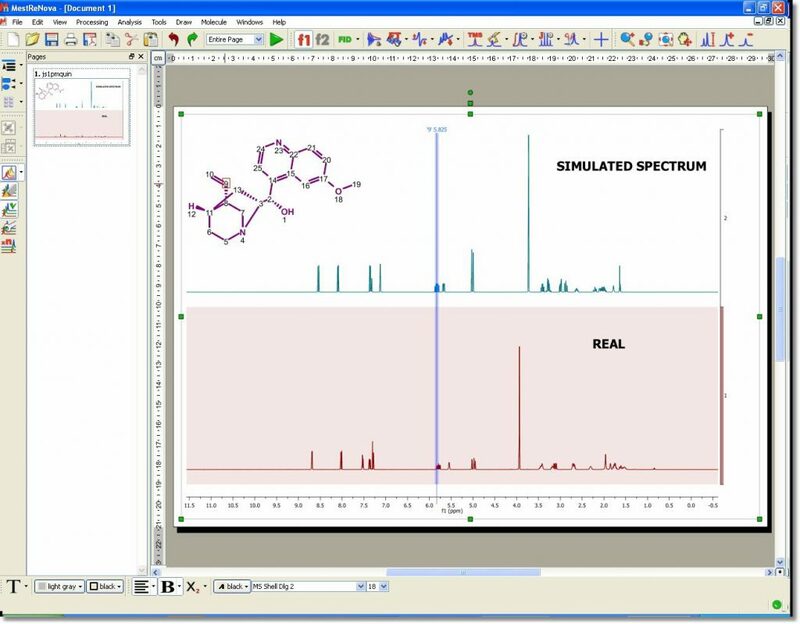 Elemental composition analysis is one of the most informative techniques in mass spectrometry. With appropriate mass spectral data, elemental composition can quite often determine the unambiguous elemental composition of a molecular ion. This technique, however, only produces sensible results from high mass accuracy mass spectra. For ions less than or equal to m/z 200, a measured accurate mass within 5 ppm is often required to determine elemental composition. At higher m/z values, measured accurate mass values of significantly less than 5 ppm may be required. The algorithm that is used exhaustively computes all possible combinations of elemental formulae subject to the constraints provided by the user (see below). In some cases, millions of possible formulae are evaluated, but because of the speed of the algorithm, this happens very quickly. You can also select the ‘Double Bond Equivalence’, ‘Tolerance’, ‘Maximum Result Count’, ‘Electron Mode’, ‘Charge State’, ‘Adduct’ and Fitness Threshold’. 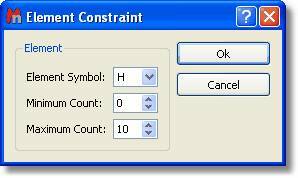 Once you have finished with the constraints, click on the ‘Elemental Composition’ icon and select with the crosshair the desired peak of the Mass spectrum. A table with the results will be displayed. All the results obtained will satisfy the composition, DBE, and tolerance constraints, and will be ranked in decreasing order of fitness. Please bear in mind that a fitness value of 1 will be the perfect match.